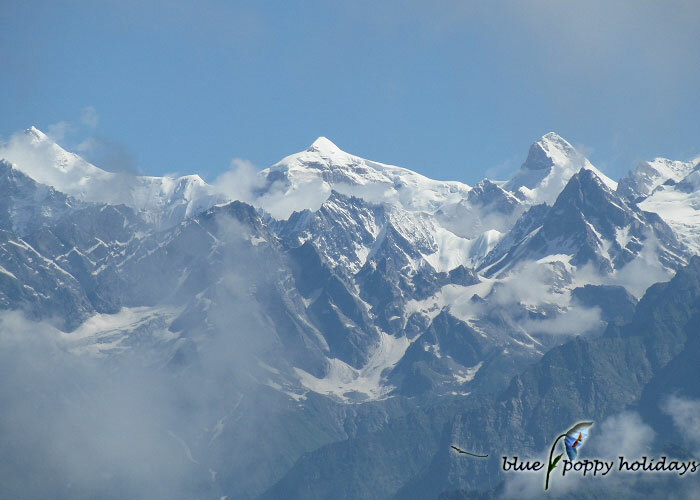 The snow clad mountain range below the blue sky is too fascinating to miss. 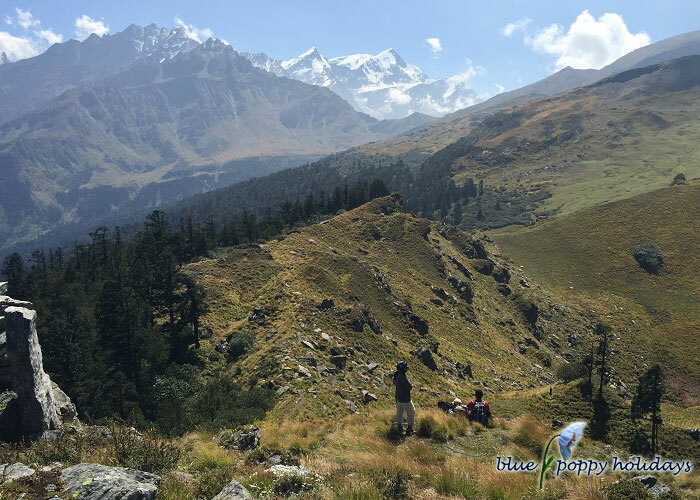 This place has a surreal beauty and invigorating ambiance that lets you unwind. 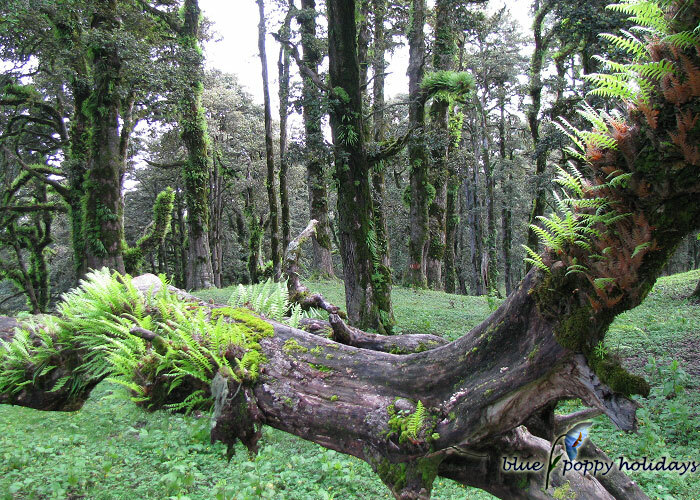 The lush and green flora is a natural bliss that spreads all across Kuari Pass. 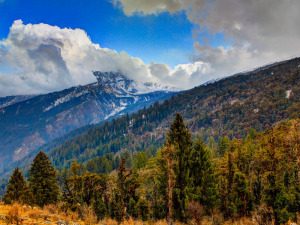 Along the way are scenes and sights brimming with heavenly beauty. 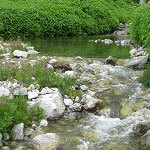 You will spot many species of animals that are a characteristic of this place. 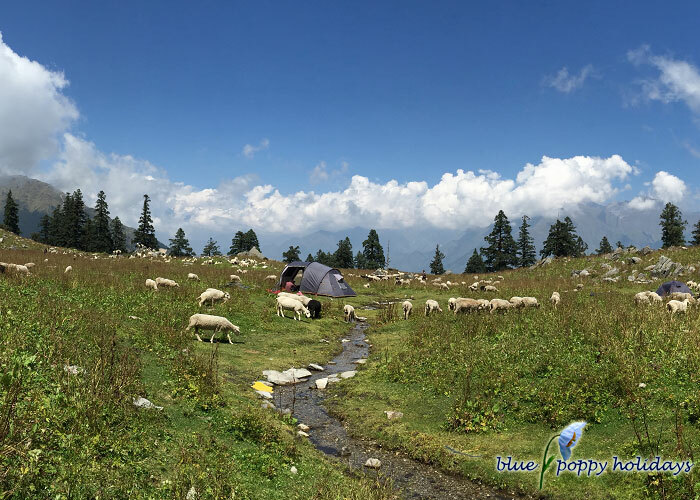 They add more life to the place and you can enjoy a good time with them. 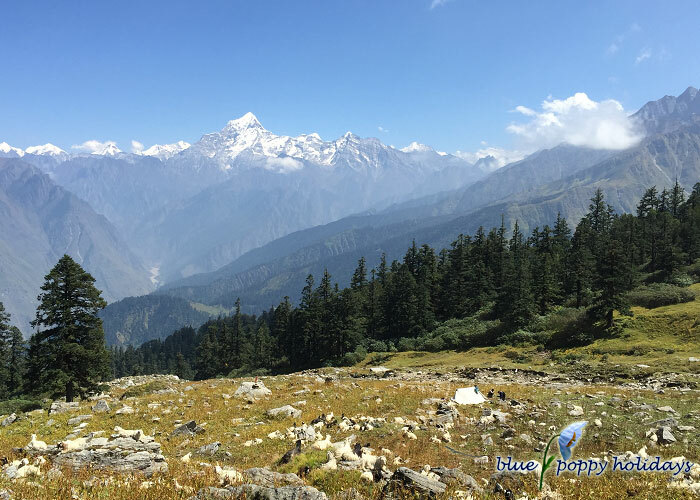 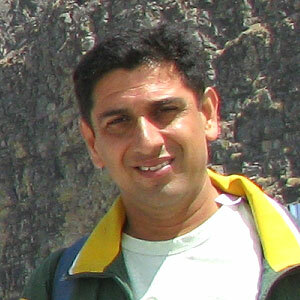 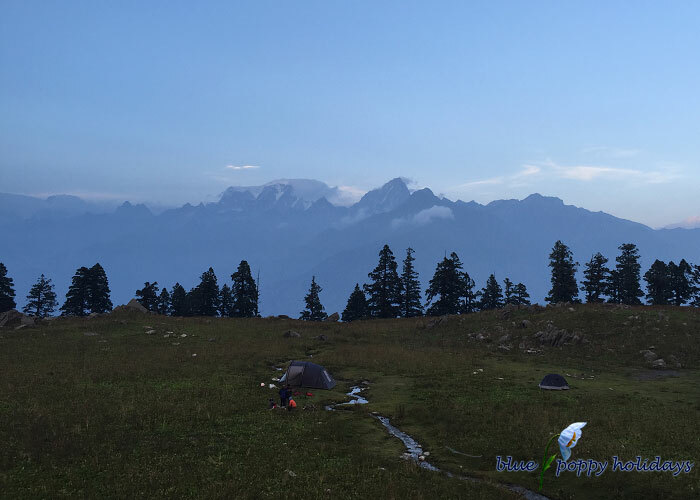 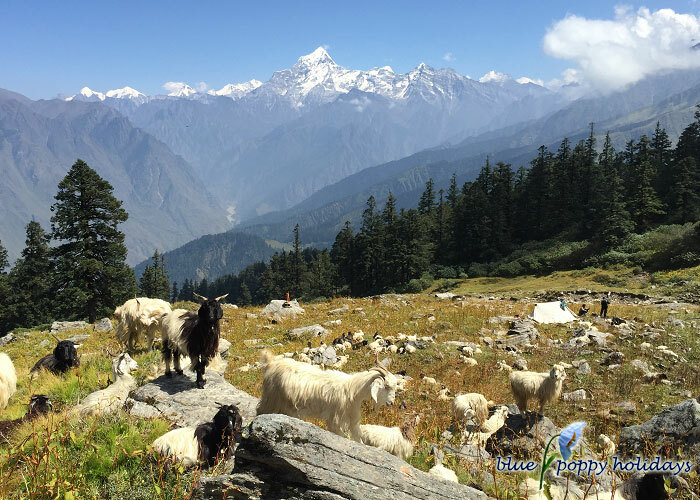 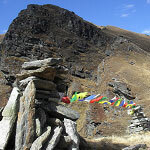 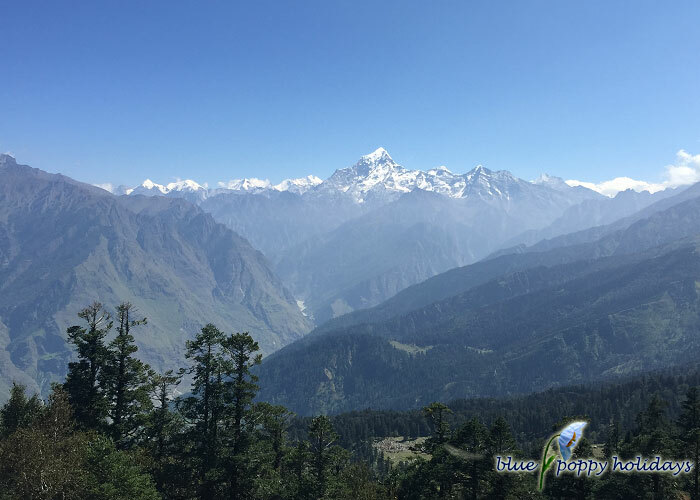 As a trekking destination, Kuari Pass will give you splendid glimpses of the Himalayas. 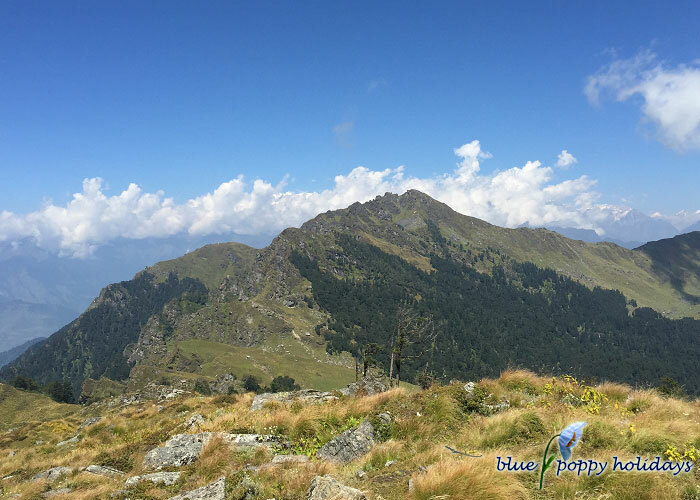 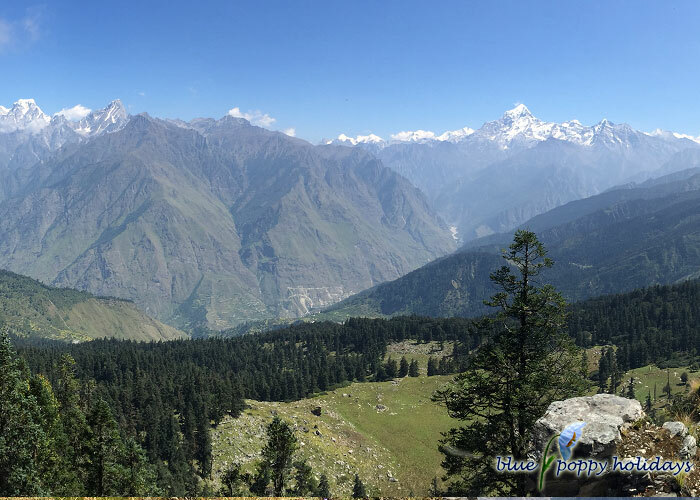 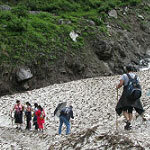 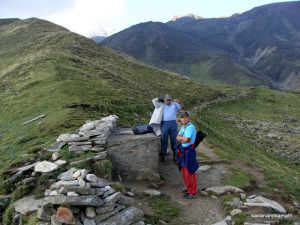 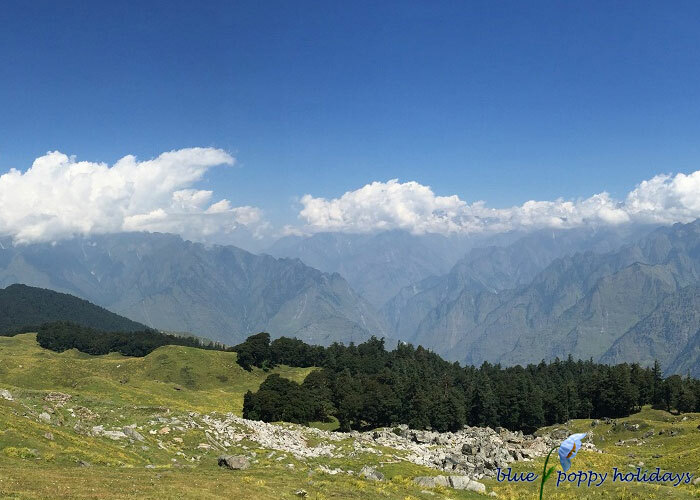 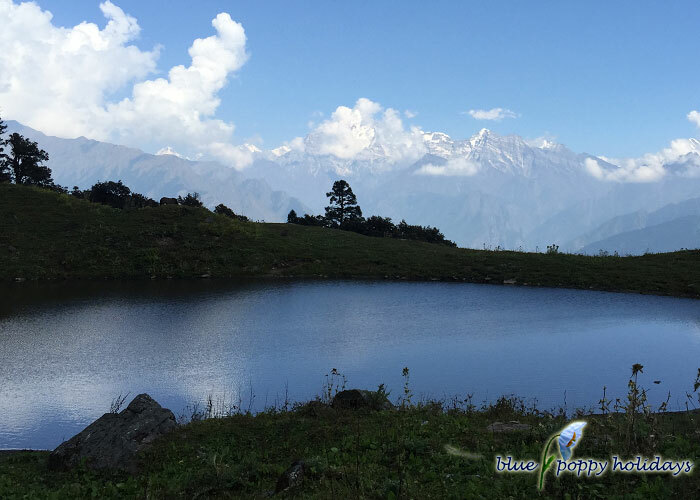 Along the trek, you will explore the real beauty of mountains, greenery and fresh air. 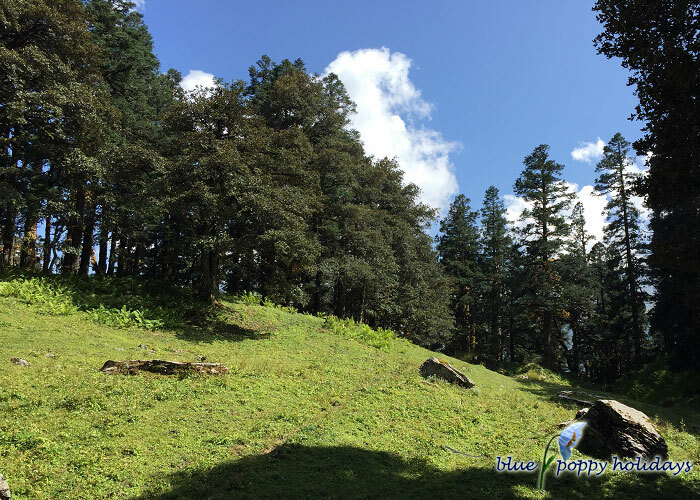 It’s a new world that will let you enjoy natural bliss in every sense. 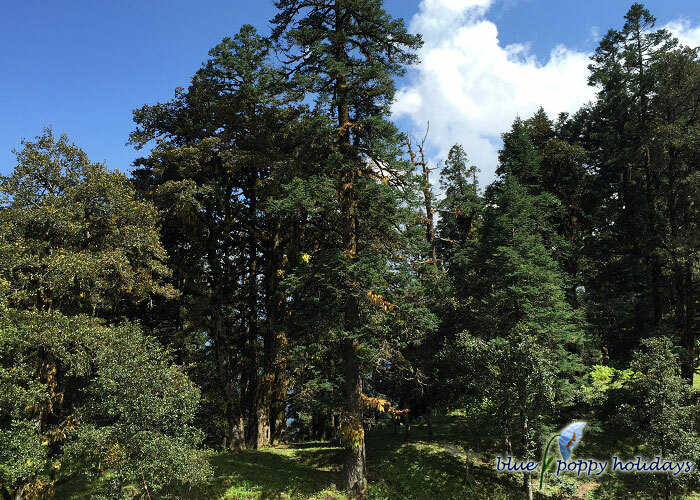 You just cannot have enough of the green trees and rich flora all around you. 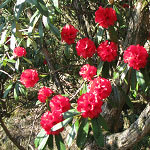 Just look around and you are surrounded by amazing trees and shrubs. 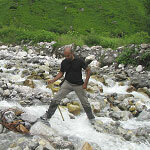 There is no limit to the new species you will spot around the place. 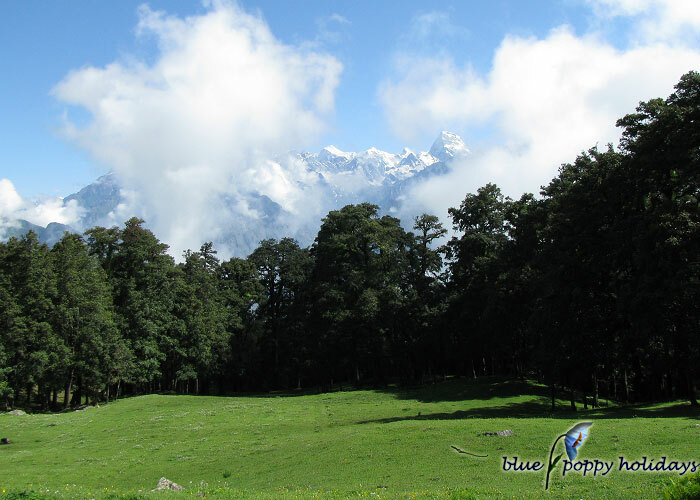 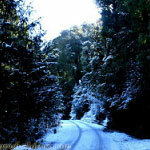 The entire trek is filled with different types of trees and you will definitely enjoy it. 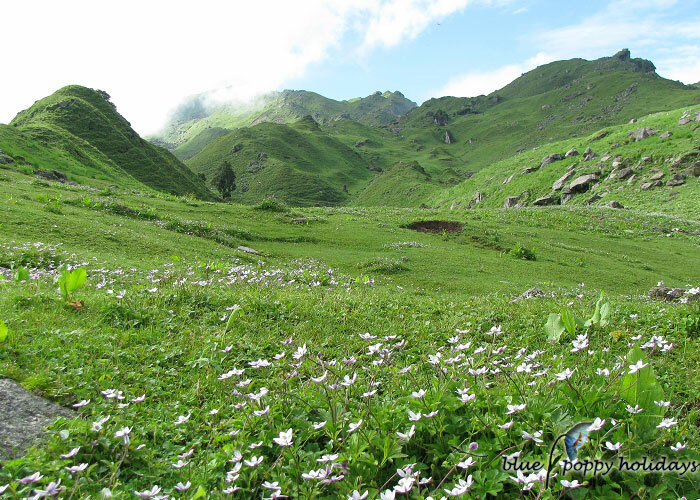 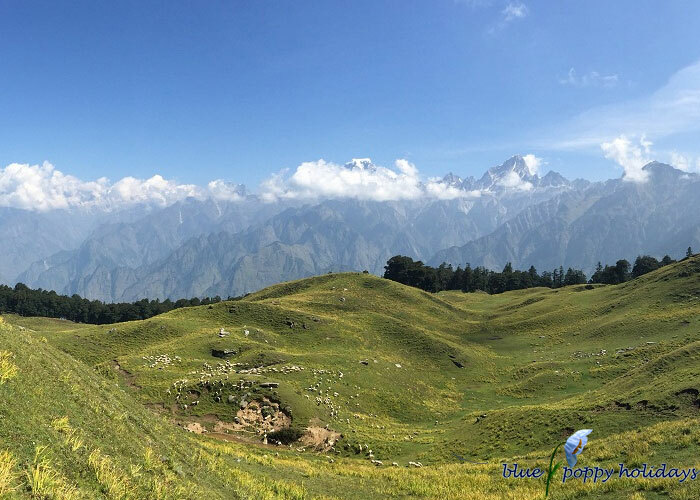 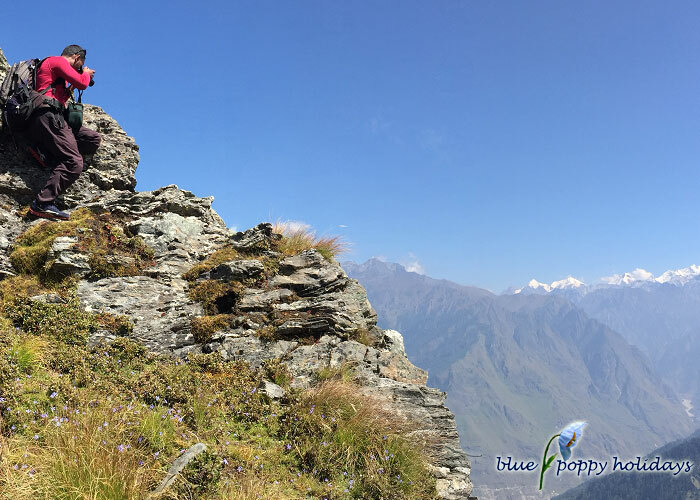 If you love flowers then Kuari Pass trek is a real treat. 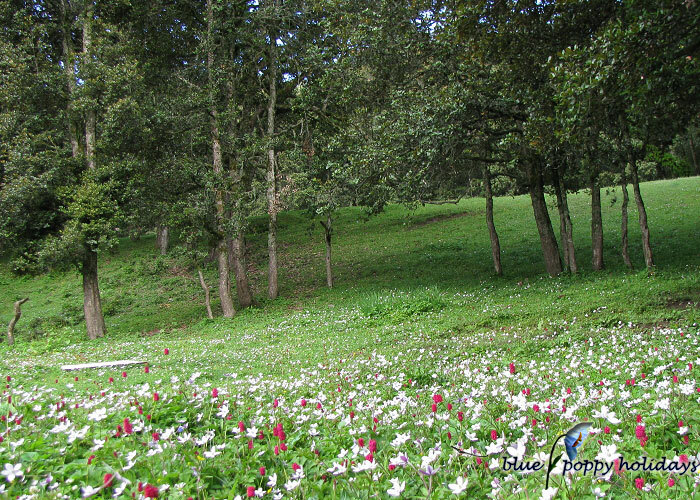 You will find endless flowers here. 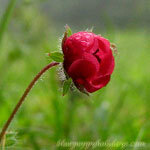 From whit e to purple, big to tiny and each of those have distinct fragrance. 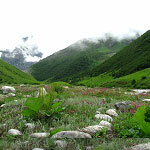 Many areas of the place are covered with thick blanket of grass. 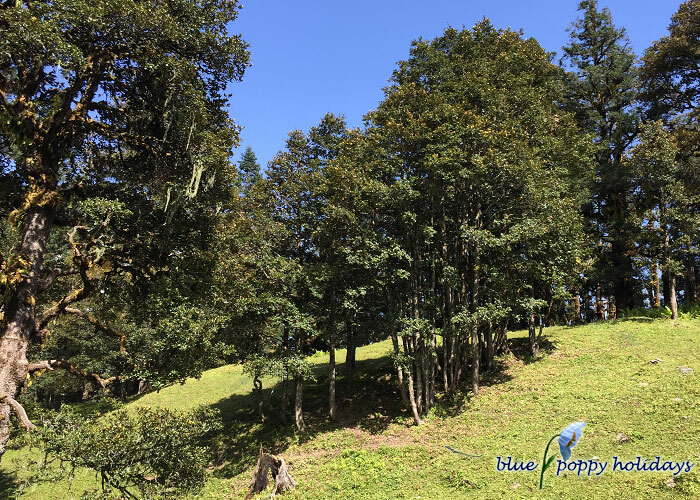 All you want is to lie down and enjoy the blue sky. 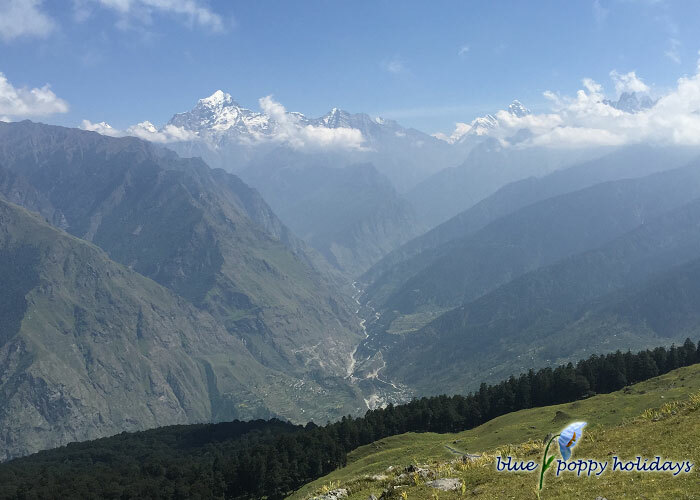 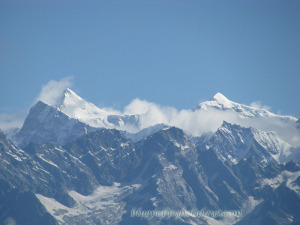 Following are the pictures of day 1 near the Gorson Peak and Auli. 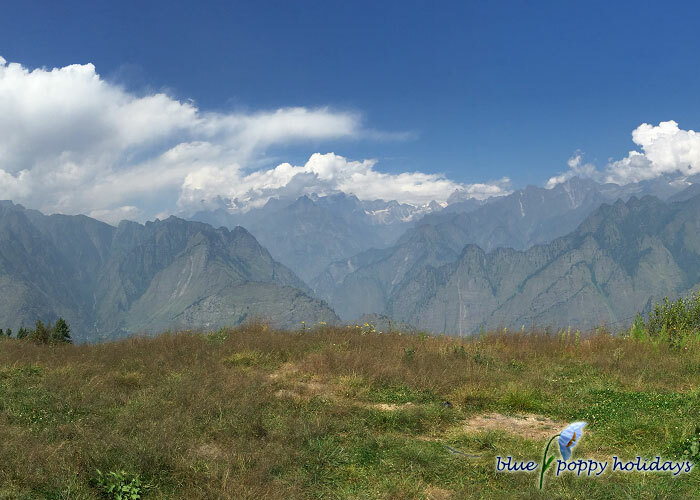 Near Gorson Peak, you can see beautiful view in the background. 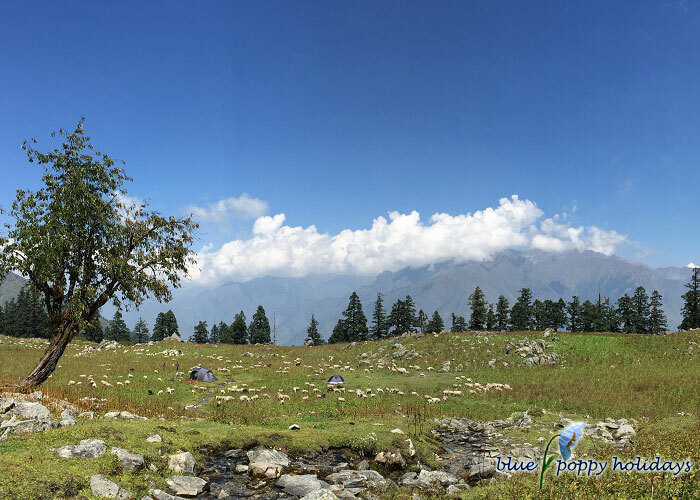 Khulara top, you can see 360 degree view from here.